We have had our ESS1a speakers many years and enjoy them thoroughly until recently we noticed the bass and mid tones had gone bad. Lift the covers showed the foam rubber surrounds had disintegrated. Since we live in a rural area, taking the speakers someplace for repair was difficult. 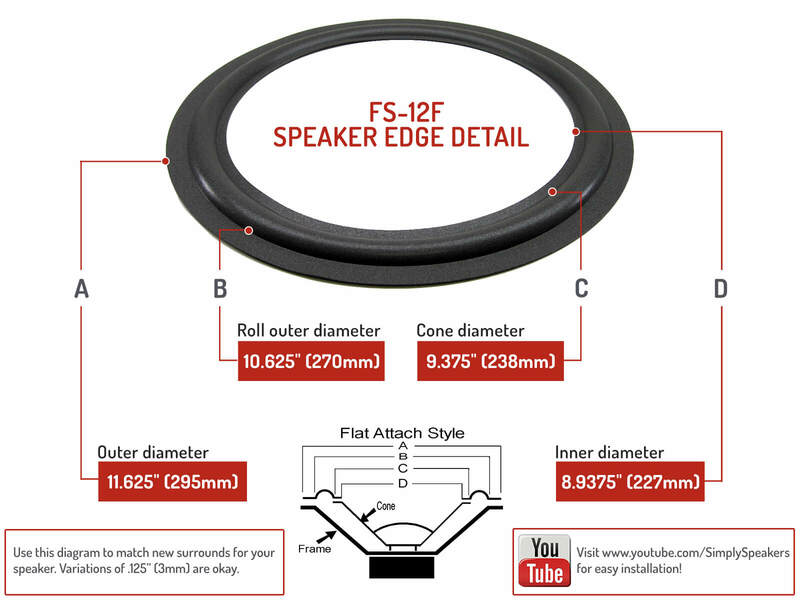 I looked online and found a number of repair kit sources but SimplySpeakers made it clear their kit would fit my speaker and their instructions were clear. I installed the repair kit and the speakers sound as new. Could not ask for more. We're very pleased to have our vintage 80's ESS AMT 1b speakers back in business. Would have purchased new 12" woofers, but thought it was worth trying a rebuild first. 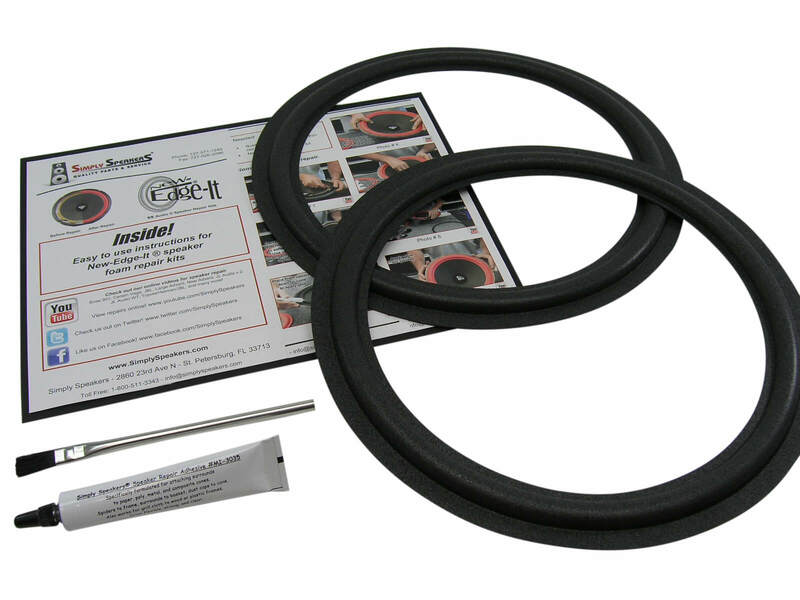 The kit is not for the faint-of-heart, but a moderately skilled craftsman with patients and a steady hand can repair a woofer in less than 4 hours. Good directions, good advice, good materials, and a good experience if you enjoy this sort of thing. I purchased these speakers new over 30 years ago and are used in a home theater/music environment. Foam surrounds had been replaced at least once each over the years. This id my first experience with Simply Speakers and am very impressed, product arrived very quickly, instructions were concise and though time consuming every thing turned out great and the speakers sound like new.Very happy. Speaker reconditioned to a new state. Used the video as a guide. Thank you for your service. Item as promised. Quick delivery. Highly recommend this seller. Will definitely recommend to a friend. Easy does it, but easy. On the advice of a friend, I ordered the replacement foam surround kit for my AMT 1A speakers. I thought about upgrading to longer-lasting rubber, but the dimensions didn't look quite compatible. Fortunately, Simply Speakers sells a little bottle of what appears to be white, uncured latex to be brushed onto the foam to prevent air penetration and rotting. Thanks to the abundant guide videos (I used the Cerwin Vega video), I just took the steps slowly and ended up with new and better surrounds. The cone has remained well-centered. The replacement foam was slightly larger diameter both outside and inside, but I trimmed the outside and got the inside to fit. They are both great, and look like new speakers. Recommended with patience. These replacement parts worked great. It took some TLC to install the woofer surround part, but once I got the hand of it I applied to 4 speakers without flaw. This is not a job for those that are complete amateurs, however it wasn't that bad. ESS: 412T, AMT-1, ATM-1A, AMT-1B, AMT-1C AMT-1D, AMT1A, AMT1B, AMT1C, AMT1D, AMT Monitor, AMT-5, AMT5, AMT-6, AMT6, Concept Monitor, Connoisseur 10, Connoisseur 11, Evaluator, HD-12, HD12, MONITOR, PS-1220, PS1220, PS-12C, PS12C, Tempest LS-1, Tempest LS1, 680-0050, 680-1055, 680-1057, 680-1064, 680-1123, 680-1124, 680-2058 ESS AMT, 681-1107, Targa 312T, and many more!